One Quick Shot • One Short Stay • One Permanent Cure! Feline Hyperthyroidism is a disorder that occurs when the feline thyroid gland produces an excess of thyroid hormone. An excess of thyroid hormone affects all of the cat's organ systems. 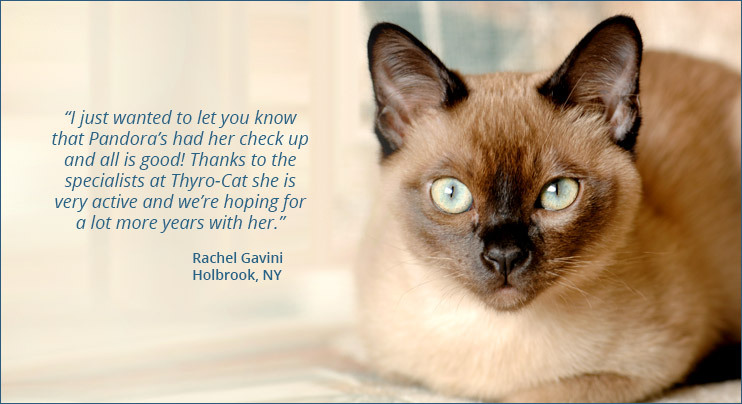 Thyro-Cat offers feline hyperthyroidism treatment for cats at centers in Danbury, CT, Stamford, CT, Long Island, NY, Syracuse, NY, and Queensbury, NY. 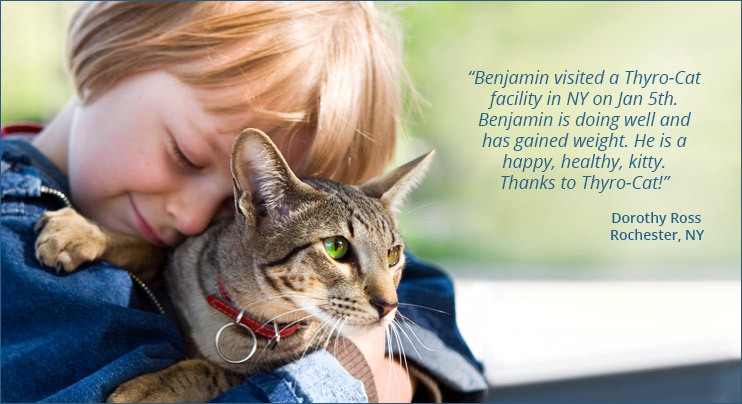 Our state-of-the-art centers use radioiodine therapy which is proven to be a fast, safe and effective method of treatment for feline hyperthyroidism. 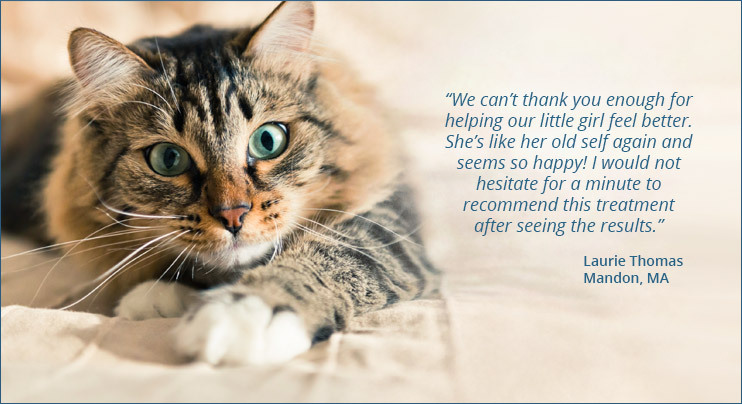 With one quick shot and one short stay, we offer your beloved cat a permanent cure. 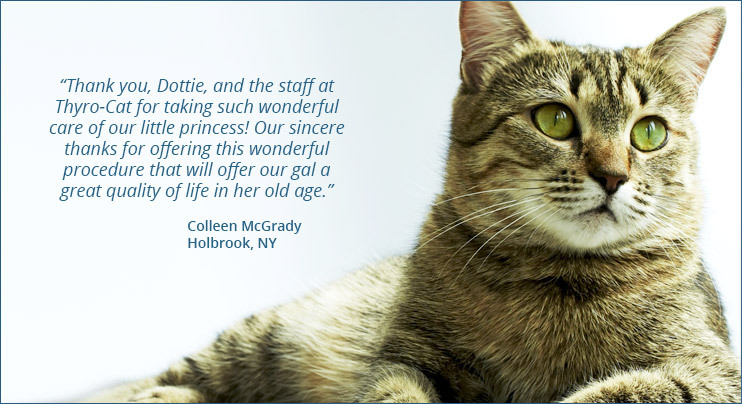 Please call Thyro-Cat at 866-467-8228 (TCAT) for information and to schedule your cat's treatment. Dr. Victor T. Rendano, Jr.
Thyro-Cat feline hyperthyroidism treatment facilities are located in Danbury CT, Stamford CT, Syracuse NY, Long Island NY, and Queensbury NY.